A vacation on the high seas combines your room, your food and all your activities in addition to taking you to exciting destinations the world over. All-inclusive cruises from Galveston can whisk you to the Bahamas, the Caribbean and Mexico, or even ‘across the pond’ to the Mediterranean and Europe. Here are the 5 best cruises from Galveston that offer you that amazing all-inclusive vacation you’ve been dreaming of. 1. The Disney cruise from Galveston that visits ports in Grand Cayman, Costa Maya and Cozumel is a 7 day voyage aboard their impressive Disney Wonder ship. Disney offers larger than average rooms, amazing places to eat; both family friendly and adult only, and tons of on board activities for kids of all ages and families to enjoy together. Don’t forget the Disney characters and ode to old world sailing that Disney offers on each and every trip. 2. All-inclusive cruises from Galveston from Princess include the 28 day trip called The Canary Islands and Western Europe Grand Adventure. And what an adventure it is! Stops include Ft. Lauderdale, the Azores, Portugal, Belgium, France, the Canary Islands and Spain before you head to the end port of Southampton, England. This cruise allows you to combine European destinations with those along the way to make the most of your all-inclusive vacation. 3. Royal Caribbean knows how to cruise, giving guests the most innovative ships sailing today. Their 7-night jaunt to Cozumel, George Town and Falmouth takes you to Mexico, The Cayman Islands and Jamaica for snorkeling, scuba diving and general fun in the sun. Plenty of time on each island means you can explore and take in all the sights before returning to the ship, and don’t forget the duty free shopping, in port and also on board. 4. If you are looking for cruises from Galveston to the Bahamas, look no further than the fun ships of Carnival. Their 7-day cruises with stops in Key West, Freeport and Nassau get you to the action and nightlife of the Bahamas, not to mention the pretty beaches and clear water, right from your home port in Texas. 5. Great last minute cruises from Galveston include short 4-day trips aboard Carnival where you visit lovely Mexico at Cozumel while enjoying the shows, parties and family fun onboard. 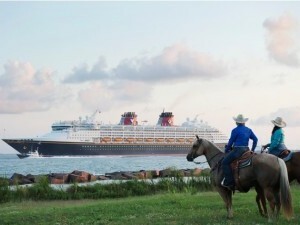 All-inclusive cruises from Galveston have many varied destinations on the four lines that use the southern Texas port. Whether you want elegant cruising, cheap getaways, family-oriented affairs or long extended stays onboard, the cruises offered out of Galveston certainly deliver. All-inclusive cruises from Galveston offer you the world in the palm of your hand, reach out and grab one, you’ll be glad you did!